A grocery store in Clay City, Indiana, says customers who want to pay with food stamps have been denied the ability to do so for more than a week, and they think the government shutdown is to blame. Tristen Malone, manager of the IGA grocery store, told WTWO that store machines stopped taking EBT cards earlier this month. According to the store’s cashiers, EBT cards begin processing but ultimately come up declined on the store’s machines. “We didn’t really know what was going on. We didn’t know if it was a technical issue. And then we found out it was due to the government shutting down,” Malone told the TV outlet. The IGA grocery store has been accepting EBT cards and food stamps for years, but it’s unclear why their machines haven’t been able to process the cards while other local retailers, like Walmart, Kroger, and a neighboring IGA, are still able to do so. But if EBT cards are already declining on account of the government shutdown—now entering its third week as Donald Trump clashes with congress over funding for a border wall—it could spell disaster for the estimated 42 million Americans who rely on on the Supplemental Nutrition Assistance Program to put food on the table. SNAP, which is funded through the U.S. Department of Agriculture, has not been allocated funding from Congress beyond January, reports CBS. And while $3 billion has been earmarked in emergency funds, the most recent data shows SNAP dispersed $4.7 billion in benefits to Americans nationwide in September 2018. Even if the shutdown is resolved by the end of January, experts say SNAP recipients could still receive “a substantial delay” in receiving their full benefits due to operational challenges, reports NBC News. Right now, hopes of a prompt resolution are slim. And as a Republican-led Senate digs in its heels—refusing to pass any deal that the president won’t sign—the lives of America’s most vulnerable citizens remain in the balance. In Clay City, one resident had a dire prediction for the next few weeks. 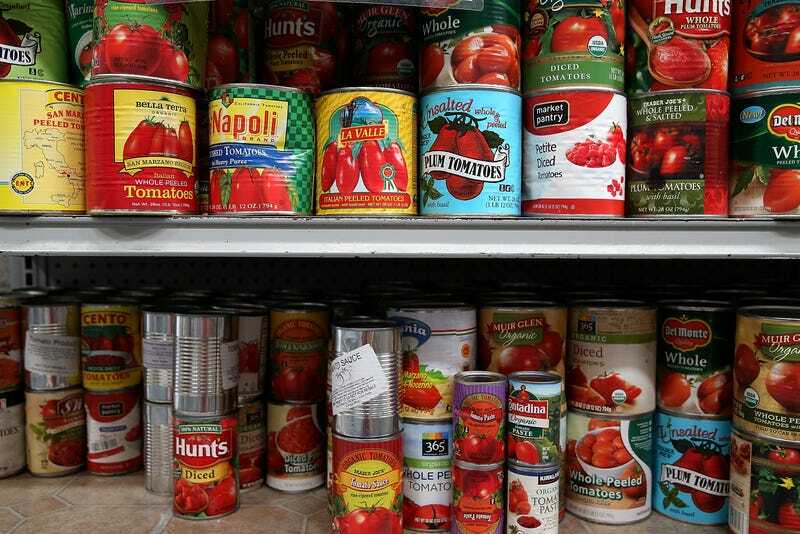 “I’d say the food pantries are gonna be booming as far as people going there for food,” Rachel Lynch told WTWO. Officials at the Indiana Family and Social Services Administration have confirmed that issues with EBT payments at one Clay City grocery store are due to a technical error, and aren’t related to the government shutdown, as the store’s management previously claimed. According to WTWO, which originally reported the story, Jim Gavin of the FSSA said the problems with EBT processing are isolated to this particular IGA, and that no other retailers in Indiana had been affected. Over the weekend, a sign had been posted on the grocery store turning away SNAP recipients. “Due to the technical problem, we are unable to accept food stamps or EBT until the government shutdown is over,” the sign read. It was taken down on Sunday, WTWO reports. While the news is surely a relief to locals who rely on SNAP, the larger issue remains: The president and the GOP continue to hold the federal government hostage over funding for a border wall with no resolution in sight. And if the government shutdown persists with no resolution or plan to address the distributions of SNAP benefits—currently, there is a lot of confusion as to whether and how the USDA could use possible reserve funds—millions of America’s most vulnerable citizens could go hungry.